No one wants to anyone to get hurt or injured and the safety is of primary importance. It is crucial for companies to be able to identify the causes of workplace injuries and illnesses and work towards reducing and eliminating them. BBS’s safety and loss control representatives can help businesses significantly reduce or eliminate workplace issues that contribute to workers compensation injuries and illnesses. Our Workers Compensation and Loss Control services also help identify, reduce, and manage the indirect costs associated with workplace incidents and their related disruption. BBS offers a full suite of customer solutions designed to help provide industry-leading medical reductions and create cost savings at every step of an injured employee’s recovery. BBS’s experienced professionals work with directly with injured workers and our business clients to implement customized programs that exceed the medical management and cost containment requirements of any organization. BBS utilizes state-of-the-art technology to provide customized solutions that promote effective and efficient ways to identify issues, analyze data, document processes, and communicate with all relevant parties throughout different stages of the worker’s compensation process. Many of these innovative solutions were created to work in conjunction with other BBS products and services to help enhance and strengthen our customer’s overall experience. Don’t let employee injuries hurt your company’s profitability and your employee’s productivity. With the help of BBS you can lead your industry in providing up-to-date real-time solutions for all HR related business activities. BBS takes the headaches and complexity out of the myriad of administrative issues that you face and help you to focus your time and energy on taking better care of your client’s needs. 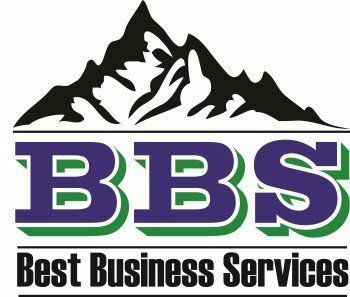 BBS can help you with safety programs, obtaining the appropriate insurance, return-to-work programs, and all other aspects related to your employee’s well-being. BBS’s solutions provide unique and innovative ways to reduce the cost of workers' compensation injuries and help improve an employee’s return-to-work rate. Our workers compensation services are committed to providing our customers and any injured workers with the highest quality medical care, hospital services and bottom-line results.